Jharkhand tourism can be broadly divided into different forms like Eco Tourism, adventure tourism, tribal tourism, mining tourism, heritage tourism, religious and spiritual tourism. Jharkahnd being land of forests and lakes which is rich in natural beauty there is lot of scope for Eco tourism in Jharkhand. It covers spotting diverse flora and fauna, excursions to the waterfalls and game viewing. This state being rich in mines and minerals mining tours are arranged to visit the mines of Dhanabad, Jamshedpur and Bokaro. Adventure tourism in Jharkhand includes activities like paragliding and parasailing. There are sites for water sports providing opportunities like boating, rock climbing, hot air ballooning and kayaking. Jharkhand having natural forests boasts a huge scope for tribes and tribal life hence giving chance to view the tribal life of different tribes. Hazaribagh is well known health resort and tourists get attracted to this place because of its romantic climate and panoramic scenery all around. Parasnath Temple situated on the hillock is the place where 23 out of 24 Jain prophets have attained salvation. Located just 10 km. from the center of Ranchi it is a important religious place where the tourists enjoy tranquility of the region. It is a ancient temple built in 1691 and is similar in architectural style compared to Jagannath Temple of Puri. The temple stands like a pinnacle on the top of the hill. Located just 15 km from Ranchi It is one of the most beautiful waterfalls in the vicinity of Ranchi. The river Suwarnarekha jumps from a height of around 320 feet providing breathtaking scenes to the visitors. The downside of the falls is the favorite bathing and picnic spots. The place becomes more splendid during monsoon season. The other falls near Ranchi are Dassam falls and Panch Gagh falls. Netarhat is the highest point on the plateau of Chhotanagpur. The jungles here are dense with fresh air to breathe. Sunrise near the Palamu dak bungalow and sunset at Mangolia point are the must visit spots. Visit Jharkhand for a wonderful tour of the state with the pleasures of the jungles, the tribal life, ancient temples, adventure sports venues and colorful festivals. Andaman is a totally unique mix of splendid attractions which offers the islands a special identity amongst the island destinations in the Indian Ocean. The first thing upon arrival which impresses the tourists is the roads in Andaman. Clean, neat and perfect roads welcome tourists travelling the inside of the island treasures. Andaman tourism is amazing with its many special attractions. Tourist places in Andaman are beautified with blessed natural beauty and the unique tribal culture. The island destinations are mostly visited for their treasures of marine life and the many adventure sports options available. Possibility of watching the tribal life in their natural habitat is another peculiarity of Andaman Islands. The redskin island offers spectacle of unspoiled beaches and underwater coral gardens. The lucky amongst visitors can enjoy fun of watching dolphins playing in the waters. Book a boat to the redskin island from Wandoor village. The perfect span for mariners apparently called the reds skin islands is a treat with sandy beaches, coral reefs and beautifully colored fish varieties. You can get a glimpse of the tribal life of Andaman in its museum at Port Blair, as well as by visiting few tribal villages in little Andaman Islands. Little Andaman’s is one of the largest islands where you can watch how elephants are trained for lumbering work in the forests. Experience the extensive rainforest with a number of rare species of marine turtles on this island. 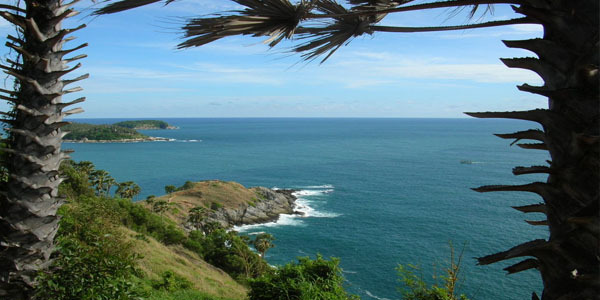 The island boasts the popular Butler Bay beach with spectacular Pancahavati waterfall. The red oil palm plantations on this island are also worth watching, where you can visit beautiful plantations as well as the palm oil factory. Netaji Nagar beach is another nearby attraction. There are innumerable activities to enjoy at these islands like, savor the beauty of embellished cascading waterfalls, get utmost fun from snorkeling, surfing and basking in sun. Experience utmost fun of beach life by staying in the tiny coconut thatches or the beach huts. 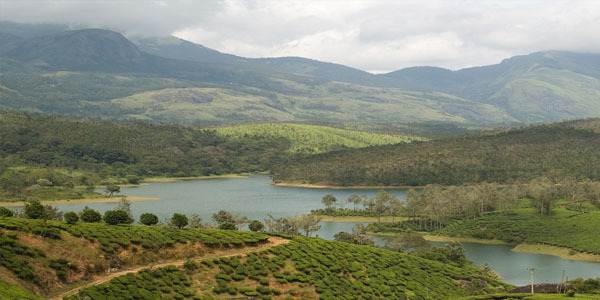 Havelock is the best destination if you are a nature lover. For the adventurous travelers the best fun will be in visiting the islands of Neil, Bara tang, and Long island. Whatever number of days you stay on the Andaman Islands, you will still feel like extending your stay by a few more days. That is the magic of the Andaman Islands which appeals the visitors for repeated visits to this Island destination. Delhi the heart and capital of India is ultimate mix of various types of places to visit. It boasts places of historical importance, monuments, religious places, renowned parks and gardens. The city shelters many diverse cultures like Hindu, Muslim and Sikh. Delhi experiences hot, humid summers and cool winters. Best time to visit Delhi is during the months of February to April and August to November. There are many tourist places to visit in and around Delhi. A few selected places to visit in Delhi are the historic places like Red fort or the Lal Quila as it is traditionally called which is situated in old Delhi. This fort was built by the Mughal Emperor Shah Jahan in the 17th century. The monument Qutub Minar is the tallest brick minaret in the world. It was constructed in 1192 by Qutab-ud-din Aibak; Jantar Mantar displays masterpiece of Indian architecture and the scientific achievements of ancient India. It is situated at Parliament Street, very close to Connaught Place. Forty two meters high arch like structure India Gate in central Delhi commemorates the 70,000 Indian soldiers who lost their lives during the World War I. Akshardham temple showcases the beauty of India’s ancient architecture, traditions and timeless spiritual messages. Gurudwara Bangla Sahib is located on the east side intersection of Ashok Road and Baba Kharag Singh Marg. Other attractions of Delhi include Lotus temple, Jama Masjid, Delhi Haat, Connaught Place, Lakshmi Narayan Temple, National science center, Nehru planetarium, Parliament house, Rajghat and Rashtrapati Bhavan. Nightlife in Delhi is splendid with a wide range of recreational spots including pubs, bars, discotheques and coffee joints spread across the city. The city being well connected with major cities of the world it can be reached comfortably. The internal transportation is well supported by air, road and rail networks which make it easier for the travelers to visit the splendid destinations of Delhi. 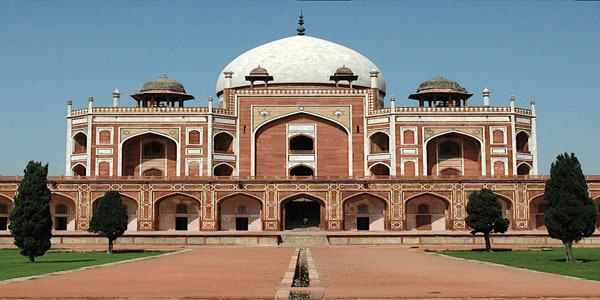 There are many interesting Delhi tour packages available for visiting Delhi and surrounding places.